Footwear has the power to transform a look with ease. I am a shoe lover and I shamelessly own a ton of shoes! However, I often find myself wearing the same round of shoes (unless it's a special occasions). Some of the choices are for comfort and some are because the shoe is so dang cute and versatile, I can where it with almost all my clothes! To get multiple wears from your shoes, buy with the inspiration of what you already own. Rarely do I buy shoes for one outfit. I used to (before adulthood) and that left me spending more money just to buy more clothes to coordinate with the "Oh So Rare" shoes. Now l find it more cost effective to build my wardrobe and purchase shoes later that can get a ton use! These babies are the newest of all my shoes. They're one of my most worn shoes because the classic pointed toe pump paired with the trendy Rose Gold tint make them easy to pop on with a jean, dress, or skirt. These chunky heeled beauties get a ton of play because they're not only comfortable, but they bring out my inner 90's teen spirit! No lie, these are the most comfortable pair of booties I own. I have probably out worn them by now and I am totally ok with that. The Leather and Suede combo are what make these shoes POP! I still remember the day I saw these shoes; they were the last pair in my size. The aren't the most comfortable, but the contrast of Gold and Gray allow for a great conversation piece and that makes up for it haha! My go to heel! Every girl needs a scrappy heel and the Red makes for a great match with a red lippie! Also I absolutely love the Gold zipper detail being showcased on the outside of the shoe. That little detail wins me over every time! If you don't have a go to "over the knee boot" then getchu one ASAP! 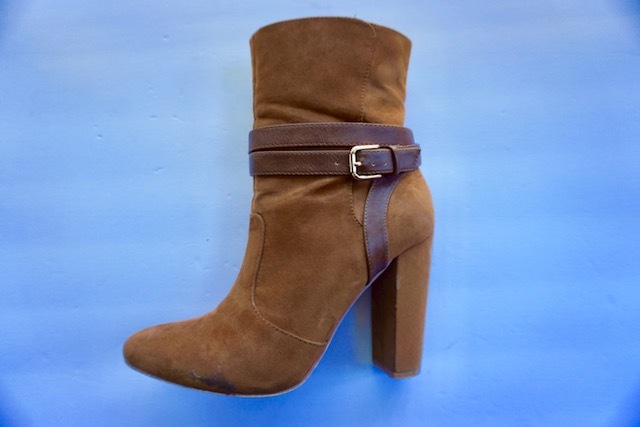 These booties will instantly elevate any casual look! 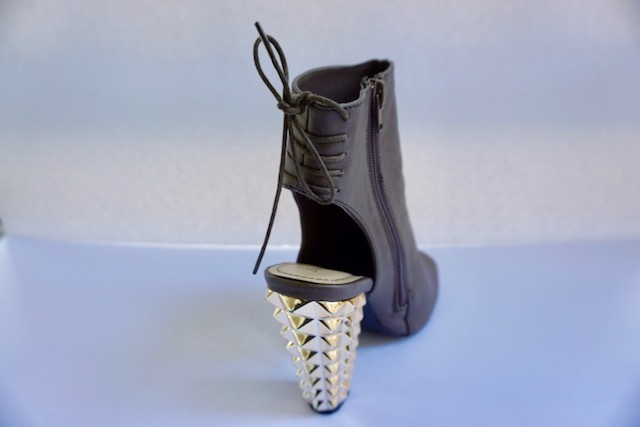 The trendiest of trendy shoes right now are the silver chrome booties! They are a mood on their own. You can flip any look whether dress or jeans and make it Happy Hour ready! I hope you enjoyed this peek into my shoe closet! I'm sorry I don't have any links but most of these shoes were purchased 6 months ago at the least :-( I will most definitely keep an eye out for similar shoes and provide you with links via Instagram so make sure you're following me!